Ten-year-old Holden Reynolds plucks feathers at his North Kingstown home from a Canada goose he shot with the help of an adult family friend. 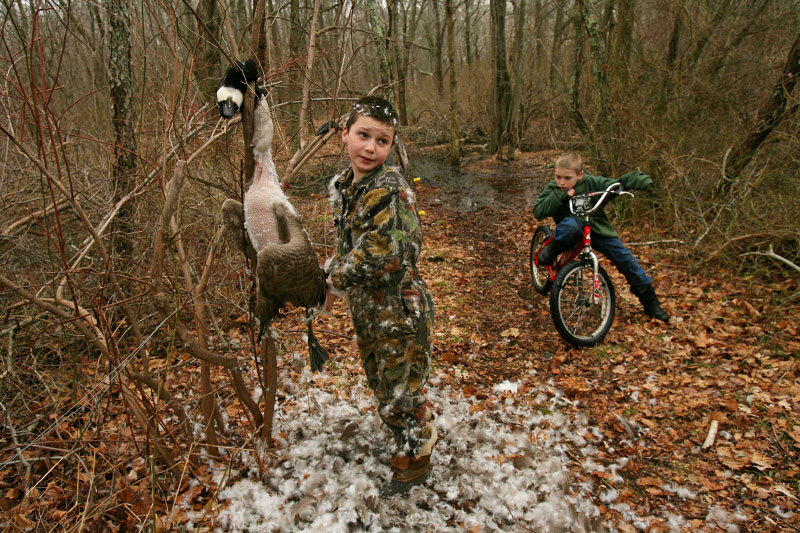 This was the second goose for Reynolds, who has been hunting since he was seven. On the right is his brother, eight-year-old Hudson Reynolds.